I always want to enjoy my backyard, but it seems like the second I walk out the door the mosquitos are waiting to eat me alive. But what if I told you there was a way to fix that? 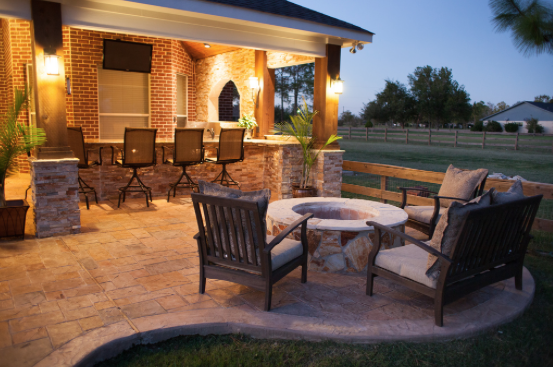 Mistaway outdoor systems is a perimeter system which is installed in your yard and is set to automatically release a 60-second light mist twice a day to kill off flying insects. The system also comes with a remote in case you want to have an extra mist anytime throughout the day. The misting compound solution is harmless to animals and can even be used up to 24 times a day if you need constant use, like a horse barn for example. This system immediately starts to work upon installation! It kills off 150 flying insects each spray and is set to be used during dawn and dusk to kill off undesirable mosquitos, no-see-ums, gnats and other pesky insects. It releases the mist at the perfect time when bees and butterflies are inactive so that they won’t be affected! This system will add value to your home and enhance your outdoor experience with low maintenance care just follow 3 steps! Refill the compound when it’s empty. The compound costs around $55 per bag, which will typically last a whole season. Check if the PSI pressure is set at 260 PSI every month to make sure the system is working correctly. Soak the nozzles in CLR annually to break down any calcium and lime build-up due to San Antonio’s hard water. The equipment starts at $1700, but the variable is how many nozzles you are going to put out which is about $20 for every 10 feet. So if you have a 50 x 50 area we would install 18 nozzles (5 on the left/right and 4 on the back/front since we don't need to double up on corners.) So the initial equipment would cost you around $2k for this size of a project. Overall, this is an excellent product for anyone that wants to enjoy the outdoors without the mosquito bites and an investment that will keep giving to you and your family. Our friend Jim Polasik from Polasik Enterprises knows everything about the Mistaway Mosquito system and is ready to get your yard ready for Outdoor Living at a higher level! Call him at (210) 459-4260 and tell him how you found out about this great product. He’ll be more than happy to help out any friends of KM BUILDERS!